While the wildfires that ravaged Northern California's wine country last month have died down, the damage that was done remains. Thousands of homes, businesses, farms and wineries were destroyed. People were displaced and lives were turned upside down. But the biggest loss going forward to the region could be a downturn in visitors. Fall harvest is peak season for wine country. And despite the damage, the region is still as beautiful as ever. Most hotels, restaurants and wineries are still standing, and they’re begging you: come visit. Alyssia, a friend from Napa’s the Inn on Randolph, which was spared, said that beyond donating funds to places like the Napa Valley Community Foundation, a little business would go a long way. Now is a great time to visit, as they're currently running a wildfire donation special, which include 20 percent off your stay — 5 percent of which will be donated to the Napa Valley Community Foundation. This place is a hidden gem. I recently visited with some girlfriends for a baby "sprinkle" (for the uninitiated, that's what you call a baby shower for number two). After a stop for the most incredible breakfast pastries from Bouchon Bakery, we spent the day here getting massages and lounging by the heated pool. I took a dip, then baked in the late October sun that was still shining bright and hot. With a gym, spa facilities and a full kitchen, you could spend all day here working out, eating, getting treatments and relaxing. 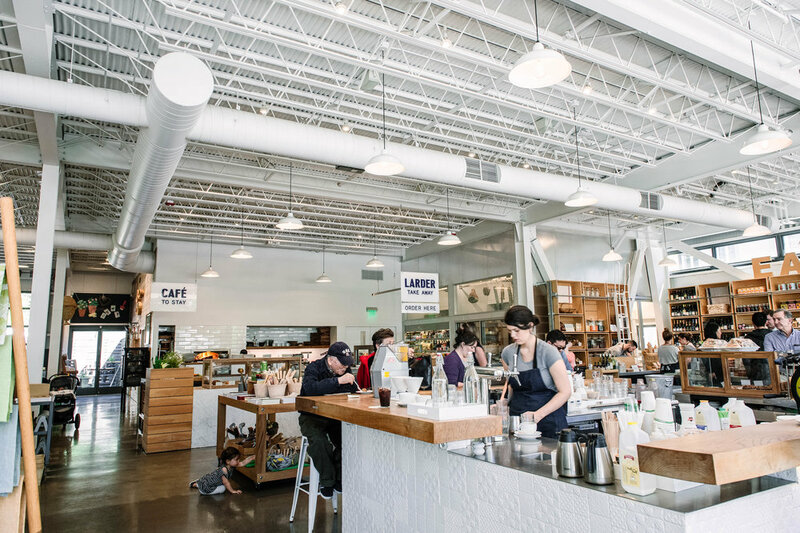 A cafe, market and curated kitchen goods shop, the Shed is always one of our first stops when in Healdsburg. Right off the square, it's perfect for a juice in the morning, a healthy lunch in the afternoon and snacks throughout the day. It's literally a one-stop shop for anything you need.